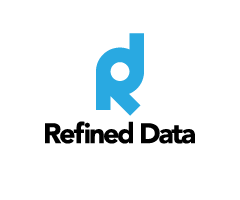 The Refined Tokens feature allows password-type tokens to be generated, issued, given out, sold to distributors and redeemed. These tokens provide the user with access to register for a course or a multitude of courses in one easy action. This feature also allows for multiple course enrolment as a time saver and control. Token access can be defined in three separate ways: access can be granted at the level of the system (and for specified roles), at the level of course categories or courses and in the situation of new users, who can be granted access for a particular timeframe. Creating tokens is a two-step process. Once the tokens are created, there are three possible places in which they can be used by users or administrators. Ensure that Token enrolment is enabled for the site by going to Site Administration>>> Plugins>>> Enrolments>>> Manage enrol plugins. Enabling Add instance to new courses adds token enrollment as an option to all new courses by default. Allow token enrolments allows users to token enrol into course by default. Default role assignment selects the role to be assigned to users using token enrolment (usually Student). You can opt to Send course welcome message via email when users token-enrol in a course; however, we recommend that this not be enabled but instead add a Welcome message inside the course settings, if this is desired. If Token enrolment doesn’t appear in the list of Enrolment methods, select it under Add method. Turn off other methods by closing the eyes, if you want enrolment to be available only by token. To create a token, first you must Define a Batch of Tokens. A batch of tokens defines what happens when a token is used. For instance, which course or courses the user will be enroled into or which courses the token can be used in conjunction with. The second step is to Issue a group of tokens from the Batch of tokens. This step defines the number of tokens for use, activates them and distributes them. One batch of tokens may have multiple issuances assigned to multiple distributors. An example Issuance of tokens, from a batch of tokens, is if the sales team sells multiple course access, or packages. The sales manager could define a Batch of tokens as, for example, "buying 10 courses as one package gets you a 50% discount". The sales team would then sell a group of 10 tokens to a client at the reduced rate and issue those 10 tokens to them. The client would in turn use the tokens as they wish to, when they wish to and without any further administrative work. Once tokens are issued, they can be used by users to enroll into one or more courses, or by administrators to save time in enrolling users into multiple courses or categories at once, via CSV upload. Now let’s look at determining how the token will be used. The first choice is to enable the tokens to be valid system wide within all categories and courses, by selecting All under System wide access. Here you can also determine the system wide role in which the user will have, by default is it authenticated user. System wide access may not be practical in many cases; you can therefore narrow down the access to a particular category, a particular course or a combination of categories and courses. Selecting a category is the same as selecting each of the courses in that category. Under Course Access, select which categories and courses the Batch of tokens will have access to; multiple courses may be selected by using ctrl and click. The batch of tokens can access all of the categories and courses selected by enabling the All Selected option; this option must be chosen when using the token from the login, user editing or sign up screens. If you want the Batch of tokens to provide access to only one of many selected categories or courses that are password prompted, then leave All Selected blank. This is the only time it should not be selected. When a user can select from a multitude of courses to enroll in they must have access to view the course listings and once they select their course they will enter their token. Access tokens can be applied in bulk when uploading users using a .csv file. Create a column entitled "token". Any Forced Fields created here will override the existing information. To upload users using a csv file, go to Site administration>>> Users>>> Accounts>>> Upload users. Refer to the article on Managers and Locations for more information about these Forced Fields. Click on Save Changes and you will return to the Add/edit Tokens screen where the newly created Batch of tokens is now displayed. The first step, defining a new a batch of tokens, is complete. Make a Comment in reference to your Issuance, as an example – Eastern Sales Team. Next determine the Number of tokens to generate; here you can select a pre-established number from the drop down menu or customize your own in the field provided. By default tokens are redeemable only once, although this can be altered to allow the token to be used as many times as required. Beside Multi-use token uses select or enter how many times each token in this group of tokens can be used. Every token requires a key. You can either Force own key by typing in the code, phrase or name you wish to use, which will provide the same key for every token within the issuance, or you can leave it blank to have the system generate a unique 32-bit enrollment key for each token. Enter the email addresses of the distributors to receive the token keys and select Send tokens to each email. Alternately, if you select Do not email, the list of tokens will simply be displayed, and you can cut and paste the tokens into an email. Select Continue to return to the Add/edit tokens screen. There are three places in the LMS where users can redeem their tokens. This is particularly useful when users are being given additional access to courses or categories or if they are being given a new role in the LMS. The use here provides limited access or a specific role in the LMS. Tokens can be used in the CSV file when uploading users to assign a system or category role.